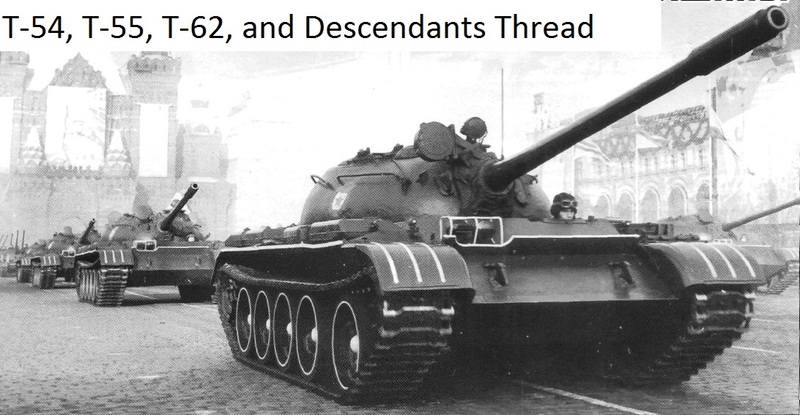 With the conclusion of testing of the 2nd prototype in November 1945 AA Morozov set about designing what would become the third T-54 prototype or as it later became known as the T-54 Model 1946, the designing took until march 1946 to complete. Which by that point the Council of Ministers of the Soviet Union (Sovet Ministrov) ordered the production of two tanks of this type. These two tanks would be called T-54 Prototype №3 and T-54 Prototype №4; eventually a third tank would be produced in September 1946 dubbed T-54 Prototype №5. The first two tanks underwent testing from July 21 to August 1 1946. 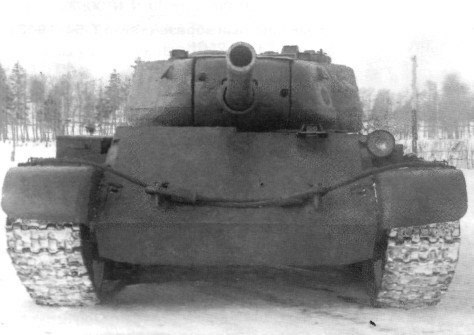 Despite issues with the tank's transmission and running gear the tests confirmed the view of the superiority of the T-54 design to anything else currently in the Soviet arsenal. T-54 Model 1946, specifically the first tank of this model. Prototype №3 was armed with the LB-1 whereas Prototype №4 and №5 where armed with the D-10T. The gun was paired with a coaxial SG-43 with 3500 rounds of 7.62 ammunition. The aummniton for the main gun consisted of 34 unitary rounds with combat ROF topping out at 8-9 rounds a minute. The elevation angles for the LB-1 was -4 to 17 degrees and for the D-10 -5 to 17 degrees. The gunner had access to the TS-19 telescoping sight for aiming in addition to a MK-4 for observation. The commander main sight consisted of the MK-4 and two other secondary sights in rotatable commanders cupola. The commander had access to a hunter killer system that caused the turret to rotate to the designated angle at the turret's maximum rotation speed of 13.2 degrees a second. I guess I'll leave this tank lineage to you then in the SA milhist thread then. I better get to work on the the tanks of the "probable enemy". 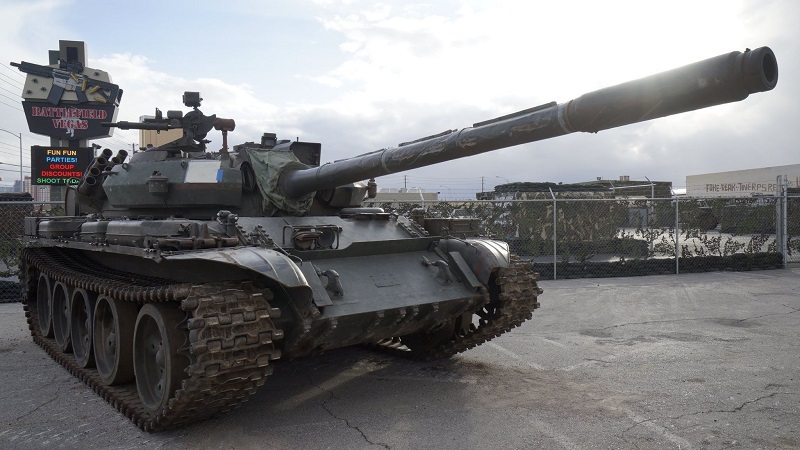 I have a early 1980's Polish T-55AM here in Las Vegas. I love this tank but the clutch gives SUCH a workout as compared to my FV-433's or Chieftain. 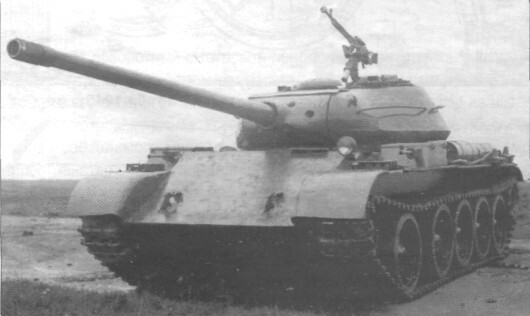 I was told that this was the second to last to come off the assembly line once T-55 production ceased in Poland. Don't know how true it is but the person that told me imported four of them and has a long history of importing armor into the country. I want to show you several late Soviet MBT designs, which were created in 1980s in order to gain superiority over NATO focres. I do think that some of them are interesting, some of them look like a vehicle for Red Alert/Endwar games. Today, Russia is still use Soviet MBTs, like T-80 and T-72s, but in late 1970s and 1980s Soviet military and engineers were trying to look for other tank concepts and designs. 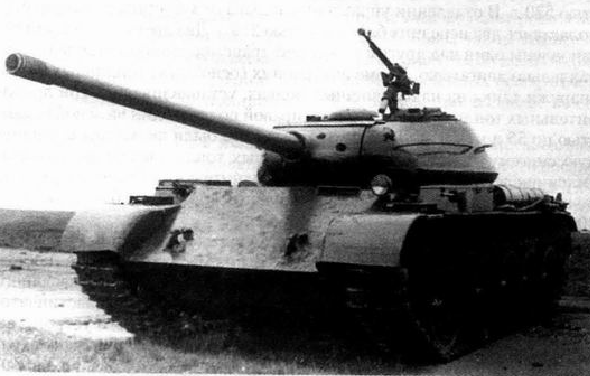 T-64 and other MBTs, based on concept behind T-64, were starting to reaching their limits, mostly because of their small size and internal layout. We open our Box of Communism Spreading Godless Beasts with not so much crazy attempt to mate T-80 hull with 152 mm LP-83 gun (LP-83 does not mean Lenin Pride-83). It was called Object 292. First (and only, sadly) prototype was build in 1990, tested at Rzhevskiy proving ground (i live near it) in 1991, which it passed pretty well. Vehicle (well, turret) was developed by Leningrad Kirov factory design bureau (currently JSC "Spetstrans") Because of collapse of Soviet Union this project was abandoned. One of reasons was that main gun was "Burevestnik" design bureau creation, which collapsed shortly after USSR case to exist. It means that Gorbachyov killed this vehicle. Thanks, Gorbach! Currently this tank is localted in Kubinka, in running condition BTW. Main designer was Nikolay Popov. Object 292, as you see at photos, had a new turret. This turret could have been mounted on existing T-80 hulls without modifications to hull (Object 292 is just usual serial production T-80U with new turret, literally). New Mechanical autoloading mechanism was to be build for it. Turret had special Abrams-like bustle for ammunition, similar feature you can see on Ukrainian T-84-120 Yatagan MBT and, AFAIK, Oplot-BM. Engine was 1250 HP GTD-1250 T-80U engine. 152 mm main smoothbore gun was only a little bit bigger than 2A46 125 mm smoothbore gun, but it had much better overall perfomance. This prototype was clearly a transitory solution between so called "3" and "4th" generation tanks. At the end of January, 2018 and after many false starts, the Russian military formally announced the limited adoption of the AEK-971 and AEK-973 rifles. These rifles feature an unusual counterbalanced breech mechanism which is intended to improve handling, especially during full auto fire. While exotic outside of Russia, these counter-balanced rifles are not at all new. In fact, the 2018 adoption of the AEK-971 represents the first success of a rifle concept that has been around for a some time. Balanced action recoil systems (BARS) work by accelerating a mass in the opposite direction of the bolt carrier. The countermass is of similar mass to the bolt carrier and synchronized to move in the opposite direction by a rack and pinion. This cancels out some, but not all of the impulses associated with self-loading actions. But more on that later. Long before Soviet small arms engineers began experimenting with BARS, a number of production weapons featured synchronized masses moving in opposite directions. Generally speaking, any stabilization that these actions provided was an incidental benefit. 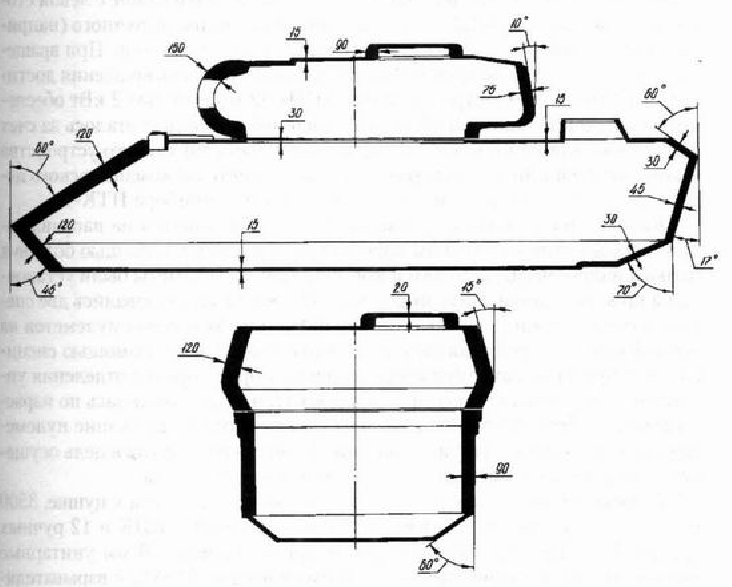 Rather, these designs were either attempts to get around patents, or very early developments in the history of autoloading weapons when the design best practices had not been standardized yet. These designs featured a forward-moving gas trap that, of necessity, needed its motion converted into rearward motion by either a lever or rack and pinion. More information on these early developments is in this article on the matter by Max Popenker. Soviet designers began investigating the BARS concept in earnest in the early 1970s. This is worth noting; these early BARS rifles were actually trialed against the AK-74. The Soviet military chose the more mechanically orthodox AK-74 as a stopgap measure in order to get a small-caliber, high-velocity rifle to the front lines as quickly as possible. Of course, the thing about stopgap weapons is that they always end up hanging around longer than intended, and forty four years later Russian troops are still equipped with the AK-74. A small number of submachine gun prototypes with a BARS-like system were trialed, but not mass-produced. The gas operated action of a rifle can be balanced with a fairly small synchronizer rack and pinion, but the blowback action of a submachine gun requires a fairly large and massive synchronizer gear or lever. This is because in a gas operated rifle a second gas piston can be attached to the countermass, thereby unloading the synchronizer gear. The AK-107 and AK-108 are BARS rifles in 5.45x39mm and 5.56x45mm respectively. These rifles are products of the Kalashnikov design bureau and Izmash factory, now Kalashnikov Concern. Internally they are very similar to an AK, only with the countermass and synchronizer unit situated above the bolt carrier group. This is configuration is almost identical to the AL-7 design of the early 1970s. Like the more conventional AK-100 series, the AK-107/AK-108 were offered for export during the late 1990s and early 2000s, but they failed to attract any customers. The furniture is very similar to the AK-100 series, and indeed the only obvious external difference is the long tube protruding from the gas block and bridging the gap to the front sight. The AK-107 has re-emerged recently as the Saiga 107, a rifle clearly intended for competitive shooting events like 3-gun. The rival Kovrov design bureau was only slightly behind the Kalashnikov design bureau in exploring the BARS concept. Their earliest prototype featuring the system, the SA-006 (also transliterated as CA-006) also dates from the early 1970s. Chief designer Sergey Koksharov refined this design into the AEK-971. The chief refinement of his design over the first-generation balanced action prototypes from the early 1970s is that the countermass sits inside the bolt carrier, rather than being stacked on top of it. This is a more compact installation of the mechanism, but otherwise accomplishes the same thing. The early AEK-971 had a triangular metal buttstock and a Kalashnikov-style safety lever on the right side of the rifle. In this guise the rifle competed unsuccessfully with Nikonov's AN-94 design in the Abakan competition. Considering that a relative handful of AN-94s were ever produced, this was perhaps not a terrible loss for the Kovrov design bureau. After the end of the Soviet Union, the AEK-971 design was picked up by the Degtyarev factory, itself a division of the state-owned Rostec. The Degtyarev factory would unsuccessfully try to make sales of the weapon for the next twenty four years. In the meantime, they made some small refinements to the rifle. The Kalashnikov-style safety lever was deleted and replaced with a thumb safety on the left side of the receiver. Later on the Degtyarev factory caught HK fever, and a very HK-esque sliding metal stock was added in addition to a very HK-esque rear sight. The thumb safety lever was also made ambidextrous. The handguard was changed a few times. Still, reception to the rifle was lukewarm. The 2018 announcement that the rifle would be procured in limited numbers alongside more conventional AK rifles is not exactly a coup. The numbers bought are likely to be very low. A 5.56mm AEK-972 and 7.62x39mm AEK-973 also exist. The newest version of the rifle has been referred to as A-545. The AKB and AKB-1 are a pair of painfully obscure designs designed by Viktor Kalashnikov, Mikhail Kalashnikov's son. The later AKB-1 is the more conservative of the two, while the AKB is quite wild. Both rifles use a more or less conventional AK type bolt carrier, but the AKB uses the barrel as the countermass. That's right; the entire barrel shoots forward while the bolt carrier moves back! This unusual arrangement also allowed for an extremely high cyclic rate of fire; 2000RPM. Later on a burst limiter and rate of fire limiter were added. The rifle would fire at the full 2000 RPM for two round bursts, but a mere 1000 RPM for full auto. The AKB-1 was a far more conventional design, but it still had a BARS. 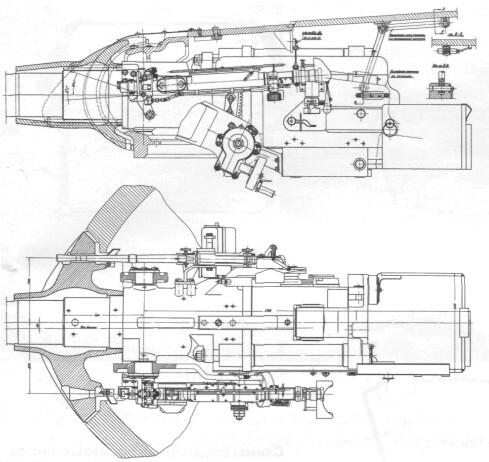 In this design the countermass was nested inside the main bolt carrier, similar to the AEK-971. Not a great deal of information is available about these rifles, but @Hrachya H wrote an article on them which can be read here. Interesting that there were physical changes correlated with the behavioral changes the Russians bred for. It seems like a pretty cool idea to drunk me, though I don't have a spare 7,000 dollars laying around (thanks student loans!). Also, I don't think my cat would approve. The MiG-3. All flying aircraft today have been re-engined with the V1710, and look slightly different. The MiG-3 was one of the first fighters developed by the famous Mikoyan-Gurevich design bureau. An improvement on the troubled MiG-1, the MiG-3 was designed for combat at high altitude. Introduced in 1941, it gained less fame than its contemporaries like the Yakovlev and Lavochkin fighters. Germany's virtually nonexistent strategic bomber force, and the low-altitude nature of combat on the Eastern Front meant the MiG-3 was forced out of its element, and its performance suffered. Combined with the MiG's difficult flight characteristics and the horrible strategic situation for the Soviets in 1941, this meant the MiG-3 achieved little success. While the MiG-3 did not spawn a successful series of fighters (like the Yak-1, Yak-9, and Yak-3, for instance), numerous variants were considered, and many of them were built in at least prototype form. However, for many reasons, such as lack of need or nTheonavailability of suitable engines, none of these variants entered large scale production. The I-230 was one of the more straightforward developments of the MiG-3. Development on the I-230 (also known as the MiG-3U) began in late 1941, with the objective to correct numerous flaws identified in the MiG-3. First was the armament; the MiG-3 had only two 7.62mm ShKAS machine guns and a single 12.7 Berezen (BS) machine gun, firing through the propeller. On the I-230, these were replaced with two 20mm ShVAK cannons (again synchronized to fire through the propeller). Outwardly, the I-230 looked very similar to the production MiG-3, although the new aircraft was made mostly of wood instead of steel tubing and duralumin. The wing area and wingspan were increased (to 18 m^2 and 11 meters, versus 17.4 m^2 and 10.2 meters for the production MiG-3), and the fuselage was lengthened by .37 meters. 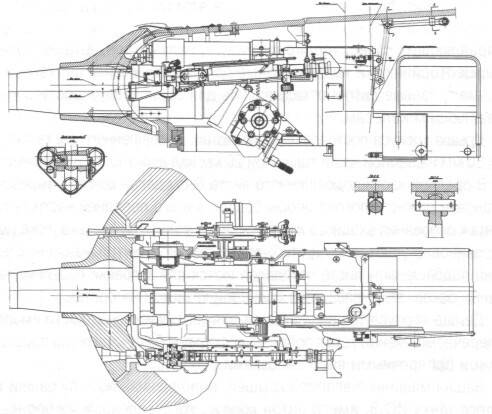 Soviet engineers originally intended to fit the I-230 with the AM-39 engine. However, by the time the I-230 airframe was completed in early 1942, the AM-39 was not yet available. As a result, the first I-230 was forced to use an engine built from both AM-38 and AM-35 parts (designated AM-35A). This engine was roughly 40 kilograms heavier than the intended engine, but produced a respectable 1350 horsepower. Even with such an odd engine, the I-230 flew by the end of 1942, achieving a top speed of over 650 km/hr at altitude. (Some sources say the I-230 first flew in May 1943, this is likely for the machines with AM-35A engines). Four more prototypes were built with AM-35A engines. These aircraft would serve in defense of the Moscow region while undergoing flight testing. While the design showed promise, by this point the AM-35 was obsolete and out of production. Additionally, some other deficiencies were identified. The I-230 was found to be difficult to land (a flaw shared with the MiG-3), and the engine tended to leak oil into the rest of the aircraft at high altitudes. As a result, the I-230 was not built. The I-231 was a further evolution of the I-230, using the AM-39 engine that had originally been intended for use in the I-230. One of the I-230 aircraft had its engine replaced with the more powerful AM-39. This required modification of the cooling system; the radiator was enlarged, with another secondary radiator installed. There were also a few other modifications, such as moving the horizontal tail surfaces downward slightly, the fuselage fuel tank was enlarged and some modifications to the radios. Armament was the same as the I-230; two 20mm ShVAK cannons. First flight of the I-231 was in October 1943. However, in early November, the prototype was forced to make an emergency landing after the supercharger failed at high altitude. Two weeks later, flight testing of the repaired I-231 resumed. The prototype, with the more powerful AM-39 (1800 horsepower), reached a top speed of 707 km/hr at an altitude of about 7000 meters. It also climbed to 5000 meters in under 5 minutes. Flight testing continued in early 1944, and in March, the I-231 was damaged after overrunning the runway during landing. The program suffered another setback when the repaired I-231 suffered an engine failure, damaging the precious AM-39 engine. Following this last mishap, work on the I-231 was discontinued. The I-210 was a more substantial modification of the MiG-3 which began in the summer of 1941. Production of the Shvestsov M-82 radial engine had recently begun, and many design bureaus, including MiG, were instructed to find ways to incorporate the engine into their designs. In the case of the MiG-3, this was especially important, as the Soviet government sought to discontinue the AM-35 to free up production space for the AM-38 used by the all-important Il-2. In theory, the M-82, with 1700 horsepower, would provide a significant performance increase over the AM-35. Soviet engineers projected that the M-82 equipped MiG-3 (now known as the I-210) would reach nearly 650 km/hr at altitude. It was also projected that performance would be massively improved at low altitude, important for combat on the Eastern Front. The new aircraft was received the designation “MiG-9 M-82”, denoting that it was a substantially new type (this designation would later be reused for a twin-jet fighter in the late 1940s). In addition to fitting of the M-82, there were several other differences between the MiG-3 and the I-210. Armament was increased to three 12.7mm UBS machine guns (two 7.62mm ShKAS were fitted initially, but soon removed). Several systems related to the engine, including the oil coolers and fuel system were also updated. The fuselage was widened slightly to accommodate the new engine. The I-210 first flew in July 1941. However, it became quickly apparent that it was not meeting its performance targets. The top speed at an altitude of 5000 meters was a mere 540 km/hr, far inferior to to projects (as well as the production MiG-3!). Part of this was due to having a different model of propeller installed than what was intended. However, wind tunnel testing and inspection showed that the engine cowling was poorly designed and sealed to the rest of the airframe, causing significant drag. Several months were required to correct the various defects, and it was not until June 1942 that three I-210s were ready for trails. During testing, the three aircraft were assigned to the PVO for use on the front. State trials began in September, and the I-210 fared poorly. Maximum speed was still only 565 km/hr, far inferior to existing types. Overall, the I-210 was judged to be unsatisfactory and inferior to the La-5 and Yak-7. The aircraft did not enter production, although the three completed prototypes would serve in Karelia until 1944. The failure of the I-210 was not the end of efforts to install a radial engine into the MiG-3 airframe. In late 1942, work on the I-211 began. A new Ash-82 engine, an improved variant of the M-82 installed on the I-210, was fitted. With the help of the Shvetsov bureau, the aerodynamics of the engine and its cowling were substantially improved. Further modifications reduced the empty weight of the “MiG-9E” by 170 kg. The three 12.7mm machine guns were replaced by two 20mm ShVAK cannons. Testing of the I-211 began in August 1942 (other sources variously say that testing did not begin until early 1943, my interpretation is that this is when state trials officially happened). Performance was markedly superior to the I-210; the I-211 reached a top speed of 670 km/hr, and was able to climb to altitudes in excess of 11000 meters. However, the La-5, which was already in production using the M-82 engine, had similar performance. Moreover, the La-7 was in development, and was felt to have better potential. In all, only ten I-211s were built. Interestingly, at least one source claims that a variant of the I-211 equipped with a Lend-Lease R-2800 engine was considered. There is no evidence that such an aircraft was actually built. The I-220 (and the rest of its series up to the I-225) were substantially different from the production MiG-3, sharing little aside from the basic design and concept. These aircraft took the original mission of the MiG-3, interception of targets at high altitude, to the ultimate extreme. The initial request that led to development of the I-220 was issued in July 1941, in response to high-altitude overflights by Ju-86P reconnaissance aircraft. These aircraft, capable of operating at over 13000 meters, were outside the reach of almost any Soviet fighter. A few Ju-86Ps at slightly lower altitude were intercepted by MiG-3s before the start of the war, so the MiG-3 was a natural starting point for a high-altitude interceptor. Work on the I-220 prototype began in late 1942. Originally, it had been planned to install the AM-39 engine, but it was not ready at the time construction began on the prototype. Instead, one source (OKB MiG, Page 48) states anAM-38F engine was installed, which still provided more power (1700 hp) than the AM-35 on the MiG-3. However, it had the drawback of losing power at high-altitudes; the AM-38F would be an interim installation at best. A different source reports that an AM-37 was the first engine installed. In addition to the new engine, the wingspan was lengthened by .80 meters, with a slight sweep added to the outer portion of the leading edge. The radiator was relocated from the belly of the aircraft to inside the wing center section, with new air intakes added at the wing roots. 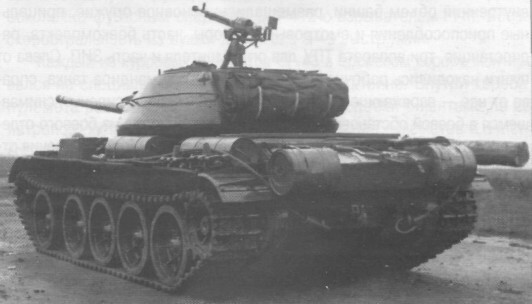 Armament was increased to four ShVAKs, making the I-220 one of the heaviest armed Soviet fighters. The I-220 first flew in January 1943. Testing of the aircraft proceeded, as the AM-39 was still not yet ready. Despite being handicapped by the AM-38F engine, the I-220 prototype was still able to reach 650 km/hr during testing in January 1944. It was agreed that the aircraft had potential, but would need the AM-39 to reach its maximum performance. The second I-220 prototype was eventually fitted with the AM-39, but by that point it had been decided to substantially redesign the aircraft. While the I-220 had done well, it had not been able to reach the altitudes its designers had hoped for. Numerous changes would be required to get the best possible performance out of the airframe. The most obvious area for improvement was the engine. Rather than the AM-38F, an AM-39A with a turbocharger was installed. Not only was the AM-39 more powerful than the AM-38, but the twin turbocharger would allow the engine to continue developing power at altitude. Additionally, the wingspan was increased further, to 13 meters. Armament was reduced to two ShVAK cannons, to save weight. Significantly, the I-221 was fitted with a pressurized cockpit, to allow the pilot to survive at extreme altitude. By the time the I-221 made its first flight in December 1943, the Ju-86 threat had disappeared. One of the high-altitude intruders had been intercepted by a Yak-9PD (a high-altitude version of the Yak-9 designed and built in three weeks), though it had not been destroyed, overflights ceased. Nevertheless, the Yak-9PD was very much an interim solution, armed with only one ShVAK and requiring 25 minutes to climb to 12000 meters. So, development of the I-221 continued. The test program of the I-221 was cut very short. On the eighth flight of the aircraft, in February 1944, the pilot bailed out at altitude, after seeing flames coming from the turbocharger and smoke in the cockpit. The pilot survived unharmed, but obviously the I-221 was completely destroyed. The I-222 was a continued development of the I-221. Not only did it have several additional performance improvements, but it was the closest of MiG's high altitude fighters to a “production ready” aircraft. The AM-39A engine was replaced with a more powerful AM-39B, with twin turbo-superchargers, plus a new four-bladed propeller. An improved intercooler was also installed (clearly visible under the central fuselage). To improve the I-222's potential utility as a combat aircraft, 64mm of armored glass was installed in the windscreen, and the cockpit pressure bulkheads were reinforced with armor plate. The fuselage contours were also modified to give the pilot better rearward visibility. Armament was two B-20 cannons, replacing the ShVAKs. The I-222 made its first flight in May 1944. Relatively little testing was done before the aircraft went to the TSAGI wind tunnel for further refinement. It emerged in September and underwent further testing. Test flights proved that the I-222 had truly exceptional performance. A speed of 691 km/hr was reached, quite respectable for a piston-powered aircraft. The truly astonishing performance figure was the ceiling of 14500 meters, well in excess of any German aircraft (save for the rare and latecoming Ta-152H). Though the I-222 could likely have been put into production, Soviet authorities assessed (correctly) that by late 1944 there was little threat from high-altitude German aircraft. Nuisance flights by Ju-86s were of little consequence, and German bomber programs such as the He-274 universally failed to bear fruit. Testing of the I-222 continued through late 1945, when the program was cancelled. The I-224 was a development of the I-222 with an improved AM-39FB engine. Several other minor improvements, such as an improved propeller and modified cooling system. The new aircraft first flew in September 1944. After five flights, it was heavily damaged in an emergency landing. Difficulties continued after the aircraft was repaired in December; the engine had to be replaced in February due to the presence of metal particles in the oil. Like the I-222, the I-224 demonstrated very good performance at altitude, also climbing to over 14000 meters and recording speeds over 690 km/hr. But by now, it was October 1945, and the war was over. It was decided to fit the I-224 with a fuel-injected AM-44 engine. This was not completed until July of 1946, and by then the time of the piston-engine fighter had passed. Both the I-222 and I-224 programs were shut down in November. The I-225 was born from the second I-220 prototype. Although the I-225 was still designed for operation at high-altitude, it was decided not to optimize the aircraft for such extreme heights as the I-222 and I-224. It was hoped that this would allow for a higher top speed and heavier armament, among other improvements. A turbocharged variant of the AM-42 engine (similar to that used on the Il-10 ground attack aircraft) was fitted, providing 2200 horsepower at takeoff. The pressurized cabin was deleted to save weight, and allow the cockpit to be optimized for better visibility. Armament was the same as the I-220; four ShVAK cannons. Armor was added to the windscreen, as well as the pilot's headrest. Improved instrumentation and a new radio system was also added. As predicted, the I-225 had exceptional performance. The aircraft was capable of speeds in excess of 720 km/hr, and demonstrated good handling characteristics. Unfortunately, the first I-225 prototype was lost after only 15 flights, due to an engine fire. A second prototype was completed with an AM-42FB engine, and first flew in March 1945. This second prototype was fitted with four B-20 cannons instead of ShVAKs, This prototype was also reported to be capable of over 720 km/hr, as well as able to climb to 5000 meters in under 4 minutes. However, due to continued vibrations, the AM-42 was replaced with an AM-44 in January 1946. This did not solve the issues though, and the I-225, like its predecessors, was not selected for production. All work on the I-225 was shut down in March 1947. While none of the advanced MiG-3 variants entered production, they did provide the Mikoyan-Gurevich bureau with valuable engineering and design experience. In a different world, one might imagine that some of their designs could have found a niche. The I-210/1 and I-230/1 would have little reason to be built in a world where Yakovlev and Lavochkin fighters exist in the way they did. However, if Germany or another enemy had a developed strategic bombing arm, then the I-220 series fighters could have found a use. Either way, by 1945, it was clear that jet aircraft were the future. Even the Soviets, who had a relatively late start on jet engines, quickly developed aircraft like the MiG-9 and Yak-15 whose performance exceeded any of the MiG-3 variants.